Evictions in bankruptcy is a touchy subject. 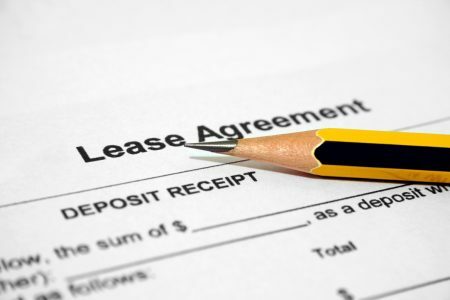 From the point of view of the landlord you are unable to make any payments. From your point of view, you are unable to make the payments and you are declaring bankruptcy. Many landlords are wary of tenants who are not careful with their debts and so might even file for an eviction to clear you off the premises. They may do this to create a stop gap for their losses. However, understanding evictions in bankruptcy can help you know what to do. The automatic stay on creditors after you file for bankruptcy comes to play immediately after you file. After which, your creditors cannot take any steps to collect from you after the fact. Until the most recent update to the bankruptcy law it included landlords as well. However, recent amendments have it so that landlords can still collect and in some cases even evict you after filing for bankruptcy. If the landlord sees your state of finances, then they can legally evict you even under the automatic stay. In some cases where you have filed for bankruptcy before the landlord files for possession, then the stay will come into effect, until the landlord moves for a motion. The bankruptcy courts have a say in whether or not your case is fit to be kept up as part of the automatic stay. If the landlord files a motion in court seeking eviction, the court is free to grant the landlord permission to evict you. In fact, it is likely to happen unless you have a special case or able to convince the court that you should not be evicted from your residence. While this is all legal talk, if it is possible to simply talk to your landlord and pay your rent as agreed, it does not have to come to this. Call our team of experienced bankruptcy lawyers in Houston to fight your creditors and protect your rights.